Elected Officials and Department Heads Roster: This document is 1 page. Table of Contents: This document is 1 page. 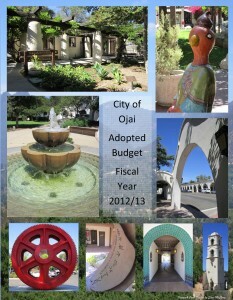 Budget Adoption Resolutions and Budget Modifications: This document is 6 pages and bookmarked. Budget Transmittal: This document is 6 pages long. Policies: This document is 16 pages long and bookmarked. Budget Policy Issues: This document is 33 pages and bookmarked. Summaries: This document is 10 pages and bookmarked. Revenue – General Fund: This document is 10 pages. Revenue – Special: This document is 15 pages. Revenue – Enterprise: This document is 3 pages. Administration Expenditures: This document is 26 pages long and bookmarked. Police Expenditures: This document is 6 pages. Community Development Expenditures: This document is 12 pages long. Recreation Expenditures: This document is 13 pages. Public Works Expenditures: This document is 27 pages. Expenditures – Special: This document is 29 pages. Expenditures – Enterprise: This document is 9 pages. 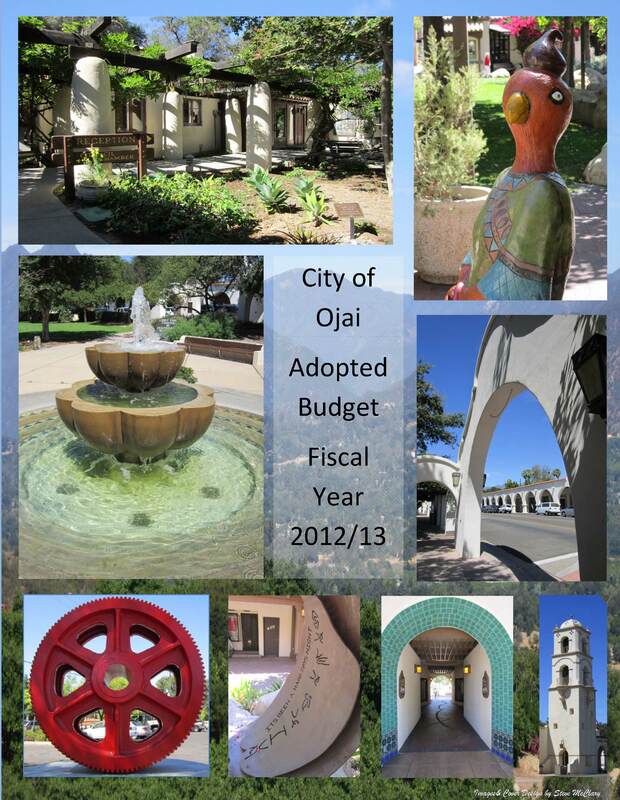 Redevelopment Successor Agency Budget: This document is 16 pages. Capital Improvement Plan: This document is 15 pages. Annual Fee Review: This document is 68 pages and bookmarked.